By 2020, 55% of the top jobs in Colorado — those with projected high openings and above-average growth rates that offer a family-supporting wage — will require skills in STEM. Yet, currently, Colorado is filling STEM jobs by importing qualified talent from outside the state. STEM career pathways also tend to have low percentage of workers who are women and people of color, even as Colorado grows more diverse. 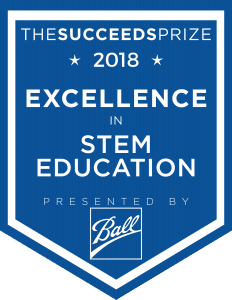 The Excellence in STEM Education Award, sponsored by Ball Corporation recognizes outstanding examples of STEM (science, technology, engineering, math) education within a public school across Colorado. The Succeeds Prize recognizes that educators across the state are working to provide students with meaningful STEM learning opportunities that will prepare them to enter and succeed in STEM careers. The STEM Award is intended to recognize examples of what’s working in STEM education in Colorado and provide local examples that educators across the state can learn from. The winning school will receive a $15,000 cash prize and will work with Colorado Succeeds, 9NEWS, and mindSpark Learning to tell the story of its success to educators, policymakers, and businesses across the state. The deadline for this award has already passed. Please check back in early 2019 for next year’s application! All Colorado public schools, traditional and charter, are eligible to apply for this award. A STEM model goes beyond traditional course offerings and offers engineering, programming, robotics, technology, and of course math and science in a connected model that ALL students at the school can access. In addition to academic skills, students develop and apply soft skills (21st century skills) such as problem solving, collaboration, and other skills routinely throughout their day. Students engage with STEM industry and/or higher education partners to provide career development and career modeling as appropriate for students’ age. Whatever your school’s STEM model, it is something all stakeholders can define and rally around. A focus on equity in STEM education and explicit focus supporting and attracting students who are not traditionally represented in STEM careers. Application: To be considered for The Succeeds Prize for Excellence in STEM Education, schools must submit an application. The application is an opportunity to showcase how your school demonstrates the above criteria. Review & Finalist Selection: The STEM Award Selection Committee will review all applications to determine three finalist schools based on the above criteria. Site Visits: Once the three finalists are chosen, members of the committee will visit each finalist campus to meet with the schools’ stakeholders to learn more. These visits will take place between the time the finalists are announced and the end of the school year, and be scheduled at a time that works best for the schools and committee members. The committee will want to hear from the school’s leadership, teachers, students, parents, and partners. Live Reveal: The winner will be announced at The Succeed Prize live reveal celebration on September 18, 2018 at The Ellie Caulkins Opera House. Finalists and winners will be asked to participate in storytelling and a professional development campaign to highlight their work throughout the year. 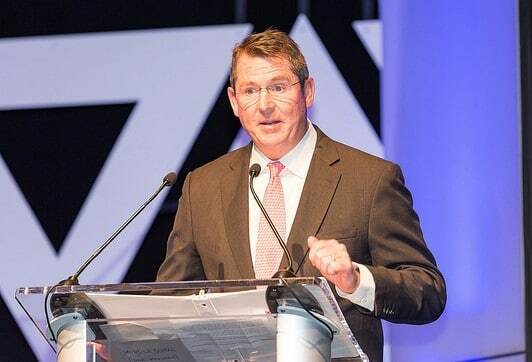 The Selection Committee advised the methodology for selection, conducted school visits, and determined winners in the Excellence in STEM Education Award, Sponsored by Ball Corp.
john hayes, ceo of ball corp.